There was a change at the Premier League leadership position after last games. Round 4 most important game was a defeat of league's leader Al-Nweidrat (2-1). They were edged by third ranked Al-Hala (2-1) 80-77 on Thursday night. It was a key game for the second position in League. Al-Hala dominated down low during the game scoring 58 of its points in the paint compared to Al-Nweidrat's 38. Worth to mention a great performance of British power forward Ryan Richards (212-91, agency: Interperformances) who helped to win the game recording a double-double by scoring 26 points, 16 rebounds and 4 assists and Nasser Almosawi who added 21 points and 7 rebounds during the contest. Al-Hala's coach Zeljko Zecevic used a ten-player rotation in such tough game. At the losing side American-Guamanian forward Curtis Washington (208-91, college: Georgia St., agency: Haylett Sports) responded with a double-double by scoring 16 points and 20 rebounds. Al-Hala moved-up to second place in League. The game had a very big importance for second-ranked Samaheej as it allowed them to take a leadership position in League. Samaheej edged bottom-ranked Isa Town in Manama 73-70. The winners were led by American-Bahamas forward Mark StFort (200-88, college: Warner) who had that evening a double-double by scoring 36 points (!!! ), 26 rebounds and 6 blocks and Hussain Busafwan supported him with 6 points, 8 rebounds and 7 assists. Samaheej's coach allowed to play the deep bench players in such tough game. Even 28 points and 7 rebounds (made all of his seven free throws) by Tunisian Ahmed Salman did not help to save the game for Isa Town. As mentioned above they took over a top position. Isa Town at the other side still closes the standings with three games lost. Quite upsetting was Al-Muharraq's home defeat in a game versus Al-Manama 84-75. It was a key game for the top position in League. Wayne Chism fired a double-double by scoring 28 points and 13 rebounds for the winners. Chester Giles produced a double-double by scoring 21 points and 18 rebounds for lost side. Defending champion (3-1) keeps a position of League leader. Loser Al-Muharraq keeps the third place with two games lost. Al-Manama's supporters look forward to an exciting derby game next round, where their team will face at home their local rival from Manama Al-Najma. In League Al-Najma was destroyed by Al-Ahli on the opponent's court 111-81. Al-Riffa outscored Al-Ittihad in a home game 80-50. The game had a very big importance for second-ranked Samaheej as it allowed them to take a leadership position in League. Samaheej edged bottom-ranked Isa Town in Manama 73-70. They outrebounded Isa Town 53-37 including 19 on the offensive glass. The winners were led by American-Bahamas forward Mark StFort (200-88, college: Warner) who had that evening a double-double by scoring 36 points (!!! ), 26 rebounds and 6 blocks and Hussain Busafwan supported him with 6 points, 8 rebounds and 7 assists. Samaheej's coach allowed to play the deep bench players in such tough game. Even 28 points and 7 rebounds (made all of his seven free throws) by Tunisian Ahmed Salman did not help to save the game for Isa Town. Mansoor Jaber added 22 points and 5 rebounds for lost side. As mentioned above they took over a top position. Isa Town at the other side still closes the standings with three games lost. There was a change at the Premier League leadership position after last games. Round 4 most important game was a defeat of league's leader Al-Nweidrat (2-1). They were edged by third ranked Al-Hala (2-1) 80-77 on Thursday night. It was a key game for the second position in League. Al-Hala dominated down low during the game scoring 58 of its points in the paint compared to Al-Nweidrat's 38. Worth to mention a great performance of British power forward Ryan Richards (212-91, agency: Interperformances) who helped to win the game recording a double-double by scoring 26 points, 16 rebounds and 4 assists and Nasser Almosawi who added 21 points and 7 rebounds during the contest. Al-Hala's coach Zeljko Zecevic used a ten-player rotation in such tough game. At the losing side American-Guamanian forward Curtis Washington (208-91, college: Georgia St., agency: Haylett Sports) responded with a double-double by scoring 16 points and 20 rebounds and Hassan Abbas scored 23 points. Four Al-Nweidrat players scored in double figures. Al-Hala moved-up to second place in League. Rather expected game in Manama where 5th ranked Al-Najma (1-3) was crushed by third ranked Al-Ahli (3-1) 111-81 on Tuesday. Al-Ahli dominated down low during the game scoring 66 of its points in the paint compared to Al-Najma's 38. They shot the lights out from three sinking 12 long-distance shots on high 52.2 percentage. Al-Ahli looked well-organized offensively handing out 26 assists. American-New Zealand forward Marcel Jones (203-85, college: Oregon St.) fired a double-double by scoring 31 points, 15 rebounds and 6 assists for the winners. Hassan Alarabi chipped in 22 points and 4 assists. Al-Ahli's coach felt very confident that he used entire bench which allowed the starters a little rest for the next games. International Mohamed Buallay (-95) produced a double-double by scoring 20 points, 6 rebounds and 10 assists and American Kevin Rogers (206-86, college: Baylor) added 16 points and 14 rebounds respectively for lost side. Both teams had four players each who scored in double figures. Al-Ahli moved-up to second place in League. Loser Al-Najma keeps the fifth position with three games lost. Al-Ahli's supporters look forward to an exciting derby game next round, where their team will travel locally in Manama to the arena Al-Ittihad. Quite upsetting was Al-Muharraq's home defeat in a game versus Al-Manama 84-75. It was a key game for the top position in League. International Wayne Chism (206-87, college: Tennessee) fired a double-double by scoring 28 points and 13 rebounds for the winners. International Mohammed Ameer chipped in a double-double by scoring 13 points and 10 rebounds. The former international center Chester Giles (211-85, college: Oregon St.) produced a double-double by scoring 21 points and 18 rebounds and Ahmed Aldurazi added 16 points and 4 assists respectively for lost side. Four Al-Muharraq players scored in double figures. Defending champion (3-1) keeps a position of League leader. Loser Al-Muharraq keeps the third place with two games lost. Al-Manama's supporters look forward to an exciting derby game next round, where their team will face at home their local rival from Manama Al-Najma. Everything could happen at the game between two tied teams. Both fourth ranked Al-Riffa and 6th ranked Al-Ittihad had identical 1-2 record. This time Al-Riffa used a home court advantage and smashed the opponent from Manama 80-50 on Tuesday night. Al-Riffa held Al-Ittihad to an opponent 23.9 percent shooting from the field compared to 42.9 percent accuracy of the winners. They outrebounded Al-Ittihad 53-41 including a 39-27 advantage in defensive rebounds. American forward Shawne Williams (206-86, college: Memphis) fired a double-double by scoring 23 points and 16 rebounds for the winners. The former international guard Mohamed Kawaid (-89) chipped in 9 points and 11 assists. Bosnian-Serbian center Mile Ilic (215-84) produced a double-double by scoring 22 points and 19 rebounds and point guard Hassan Helal (173-95) added 5 points and 5 rebounds respectively for lost side. The winner was already known earlier in the game, so both coaches allowed to play the bench players saving starting five for next games. Al-Riffa maintains fourth position in League with 2-2 record. Loser Al-Ittihad keeps the sixth place with three games lost. Al-Riffa will meet at home higher ranked Al-Muharraq (#3) in the next round and it may be the game of the week. Al-Ittihad will play against the league's second-placed Al-Ahli and hope to win that game. Al-Manama (Premier League) tabbed 29-year old American guard Terrico White (196-97kg-90, college: Ole Miss) to represent the team in Arab Gulf Championship. He started the season at Wildcats in Australian NBL league. In 30 games he had very impressive stats: 17.0ppg, 4.3rpg and 2.4apg this season. White helped them to win the league title. Great season as he was voted Australiabasket.com All-Australian NBL Finals MVP and named to 2nd Team. 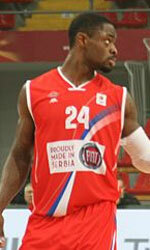 The last summer he played at Armored Athlete in U.S. semi-pro league The Basketball Tournament. 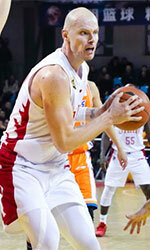 In 2010 White was drafted by Detroit Pistons (NBA) in second round (36th overall). He attended University of Mississippi and it is his ninth season in pro basketball. White is quite experienced player. He has played in seven different countries on three different continents (Europe, Asia and of course North America). White has played previously professionally in Israel (Hapoel Eilat and Ironi Nes Ziona), Russia (Enisey), Serbia (Radnicki 1950 Kragujevac), Turkey (Gaziantep), NBA (Phoenix Suns), NBA G League (Salt Lake City Stars and NAZ Suns) and South Korea (SK Knights). An aggressive offensive player capable of scoring off the dribble by blowing by his man or knocking down outside shots Excellent pull up off the dribble as well as a fierce crossover Has a solid in between game Extremely confident, bordering on fearless. Can be too aggressive at times and force the issue both passing and shooting Also a little too much of a showman who can get caught up in trying to impress instead of making the sound play. RIFFA roared to an emphatic 76-61 victory over Muharraq last night to lift this year's Khalifa bin Salman Cup. Nicknamed 'The Lions', Riffa stunned their opponents with a dominant performance in the highly anticipated single-game final and made good on their claim as the kings of Bahrain's basketball jungle. Riffa led by as many as 19 points in the contest and had all the answers whenever Muharraq threatened to make any kind of comeback. The result earned Riffa their first-ever championship in any national basketball competition. It also avenged the three-game sweep they suffered against Muharraq in the best-of-five finals of the league last month. Presenting Riffa the Khalifa bin Salman Cup and their individual medals were Shaikh Isa bin Salman bin Hamad Al Khalifa and Bahrain Basketball Association president Shaikh Isa bin Ali bin Khalifa Al Khalifa. Shaikh Isa bin Salman and Shaikh Isa bin Ali also handed over the medals to runners-up Muharraq. Aside from the prestigious cup and their other silverware, Riffa also came away with a cool BD30,000 in prize money. Muharraq won BD15,000. American Arinze Onuaku (206-C-87, college: Syracuse), Senegalese Mansour Kasse (208-C-92) and Bahraini stars Mohammed Buallay and Kuwayed brothers Mohammed and Younes were the main protagonists for Riffa. Onuaku top scored for his team with 23 points while also grabbing 12 rebounds. Buallay chipped in with 18 markers including three three-pointers, as he also did well to orchestrate Riffa's offence being their designated ball-handler. Mohammed Kuwayed added 15 and seven rebounds while playing the full 40 minutes, and Younes had seven points and six rebounds. Kasse finished with nine markers and 18 boards as he and Onuaku controlled the paint for Riffa. Only two players scored in double-figures for Muharraq, as the sweet perimeter-marksmanship they are so well known for went completely missing last night. Americans Kevin Murphy (197-G-90, college: Tenn Tech) and Mike Harris (198-SF-83, college: Rice) combined for 39 of their total output, with 28 coming from Murphy including 13 rebounds. Murphy almost single-handedly kept his team hopeful for a late surge, but it never came. Their shooting woes were evident in their 23-for-68 game total. More than half of their attempts came from behind the three-point line, where they shot a dismal eight-for-35 for a 22 per cent clip. Muharraq's Bahraini stars were off for the night, with Bader Abdulla Malabes and Ahmed Aldurazi (G) both finishing with just three points. Mohammed Juma'a had eight points and Mohammed Aldurazi had six off the bench. Muharraq took their only lead of the fixture, 5-4, at the beginning of the first quarter, which Riffa ended up 22-14. The victors managed to stretch their lead to 40-25 at the half, but in the third, Muharraq got back to within 10 although Kasse buried a triple right before the quarter buzzer to make it 59-46 heading into the final canto. Muharraq again cut Riffa's lead to 10 on a Murphy lay-up, but that was as close as they would get until the end and Mohammed Kuwayed swished in a three-pointer to further deflate their hopes.